Huzzah! 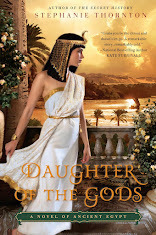 Daughter of the Gods will finally hit the shelves this Tuesday, providing an ecstatic ending for what might have been the tear-filled, depressing conclusion of my dream of getting Hatshepsut's story published. The early version of Daughter of the Gods was titled Hatshepsut: Queen and Pharaoh (terrible, I know) and came within a breath of dying a lonely death on my desktop. It took me two painful years to write the first draft of the darn thing, but during all that time I couldn't get Hatshepsut to stop whispering in my ear. (Mostly kind words like, "You left me in the Hall of Women with Thutmosis, you wench... Get me out of there!") 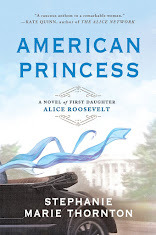 Then there was another long year of revising before I felt the book was ready to send off to agents. I knew the query trenches were going to be a soul-sucking abyss of pain and suffering, but I was ready. Do you know how many queries I sent out over the course of the following year? At first there were nibbles, but the agents all said the same thing: The story didn't grab them. I shed many a tear, and finally a wonderful author-friend offered to take a look at the pages, either out of the kindness of his heart or because he could hear me sobbing all the way from Alaska. Both he and his agent ripped the story to shreds, told me it had potential, and to revise again. I did. And then I send it out again. I had 12 total requests and one offer of representation, but the offering agent's philosophy was the polar opposite of mine, so after receiving some excellent (albeit painful) advice from the same wonderful author-friend above, I declined. People told me that Hatshepsut's story would be my "drawer novel," the one that disappeared to gather dust and never see the light of day. I couldn't do that to Hatshepsut, but after four years, I couldn't very well keep doing what I'd been doing. So, after shedding a small lake of tears, I set Hatshepsut aside to write The Secret History. I knew I could do justice to Theodora's story, but I also knew I could never leave Hatshepsut alone. 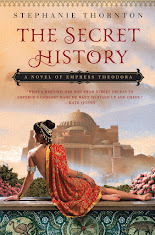 It took me a full year to write and revise The Secret History before I felt confident enough to send Theodora out into the world. In less than a month, I had an offer of representation from Marlene Stringer. I screamed and wailed, and of course, said yes. But my yes came with a caveat. I told Marlene that I had this other manuscript about Hatshepsut, Egypt's first successful female pharaoh, and I hoped she'd be interested in representing that story as well. Thankfully, she was, and the pieces were in place. But I still had to rewrite Hatshepsut, including giving it a new title. And this was no small revision; I ripped my baby to shreds and painstakingly stitched it back together again, all while The Secret History was on submission. 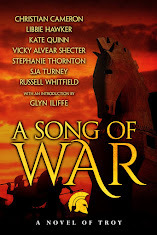 And then came Marlene's email, telling me that there were offers on the table for The Secret History, and that she needed the manuscript for Daughter of the Gods ASAP because we might be able to sell that too. 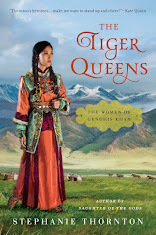 Oh, and by the way, did I also have a proposal for that book about Genghis Khan's women that I'd once mentioned? 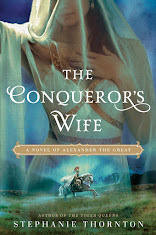 As it turned out, NAL/Penguin wanted all three of my novels, meaning that I'd finally found a home for Theodora, Genghis Khan's gaggle of women, and most importantly, Hatshepsut. So, the moral of this particular story is that you must obey to Winston Churchill's excellent advice. Every writer's publishing journey is different, and some are more rocky that others. (Some require hiking up Mount Everest without oxygen... On your hands.) But if you truly believe in your story and are willing to put in the blood, sweat, and tears, then wonderful, wonderful things can happen.